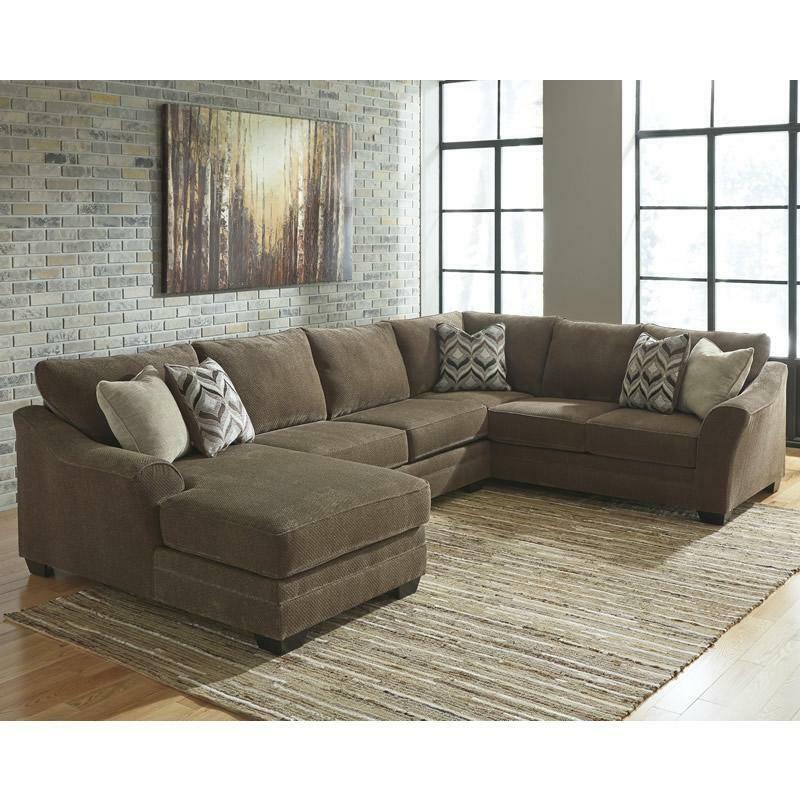 The Benchcraft “Justyna-Teak” upholstery sectional features a thick chenille upholstery fabric beautifully embracing the sweeping arms and plush cushions to create a casual contemporary style that is at home in any living room environment. 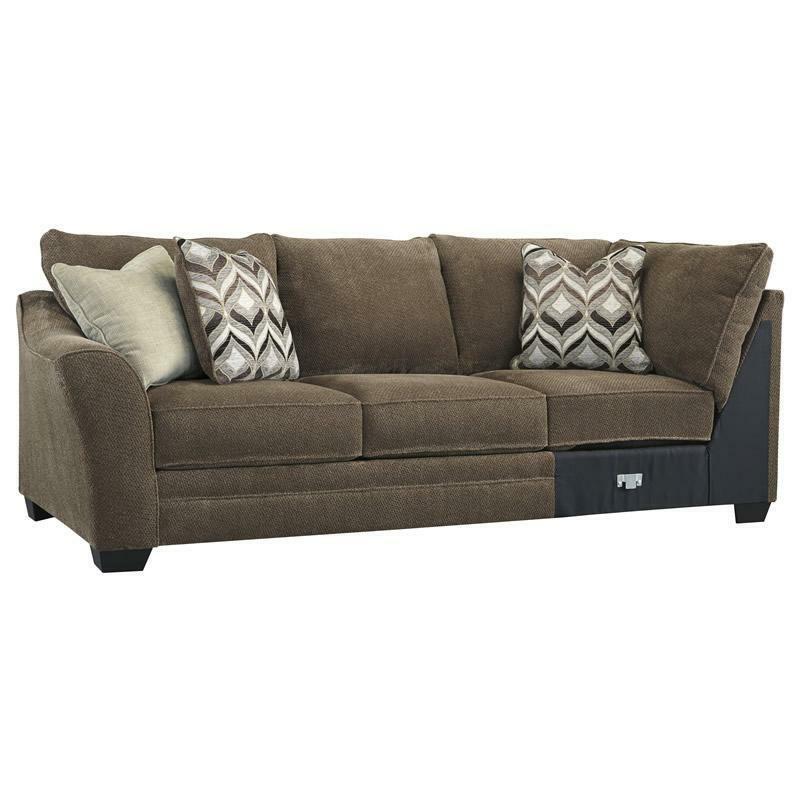 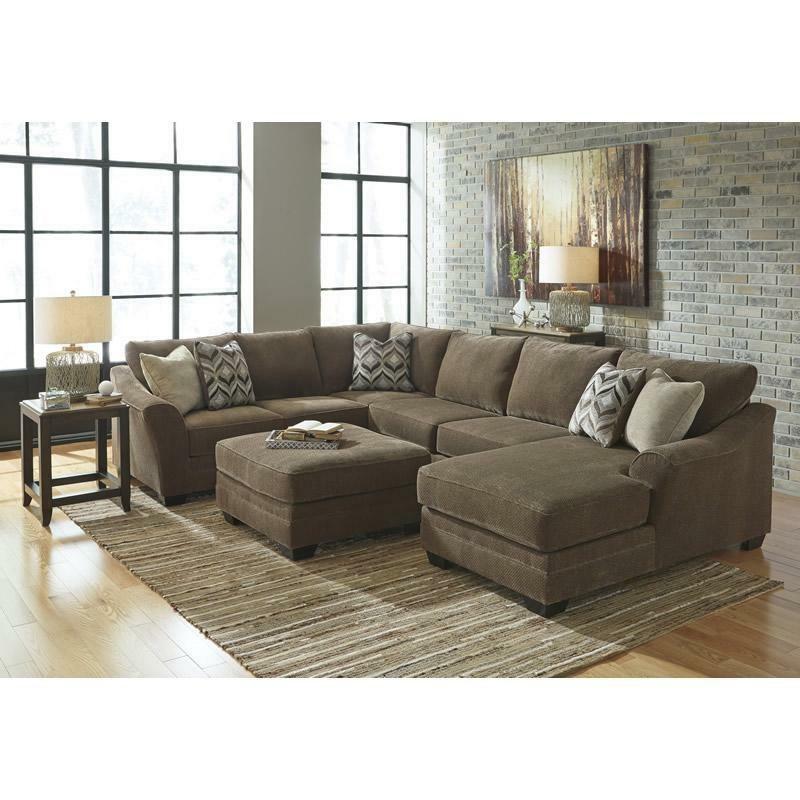 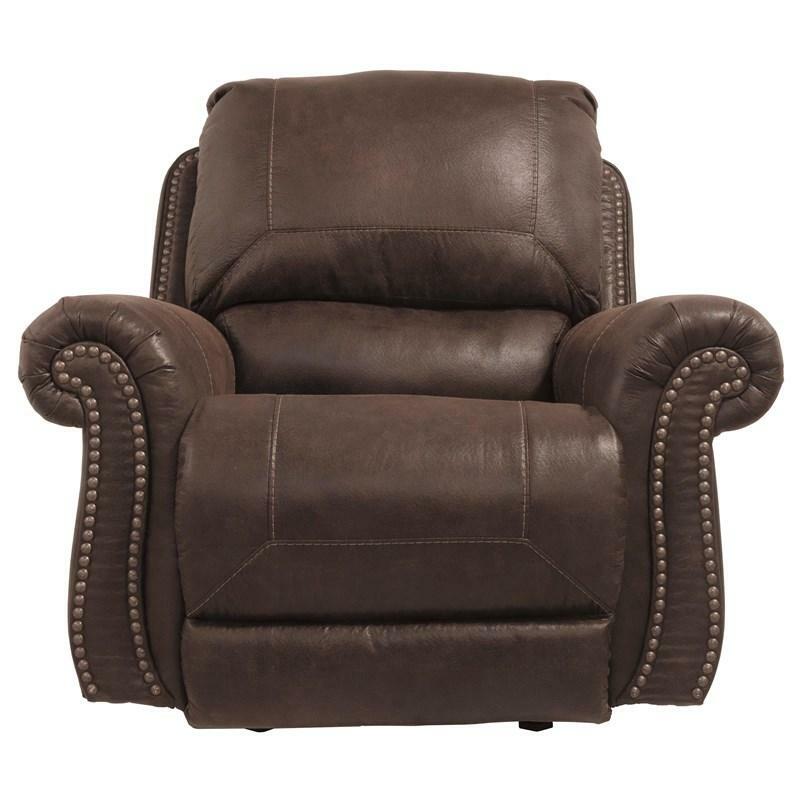 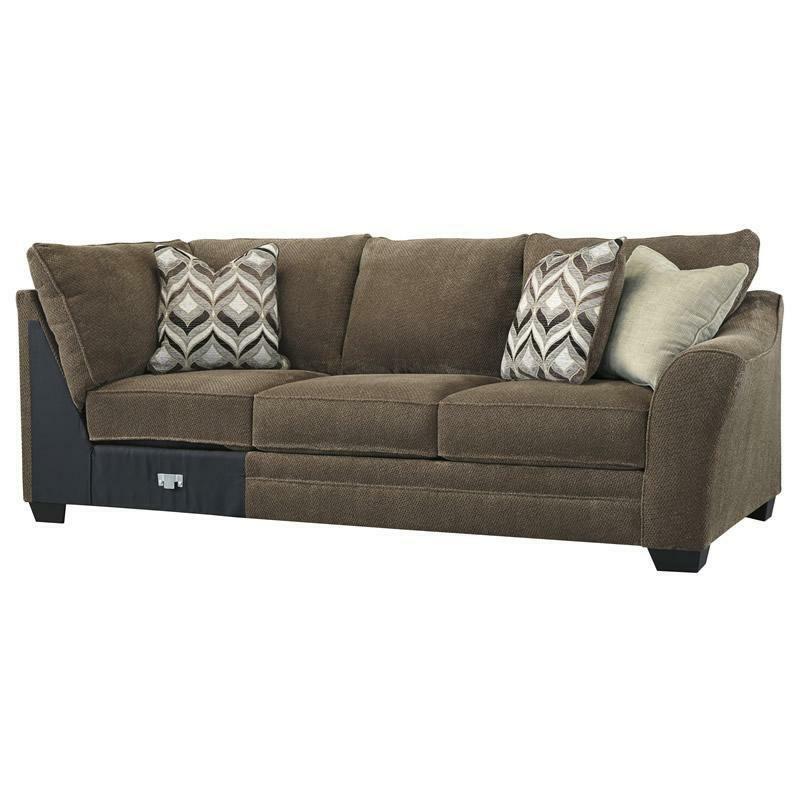 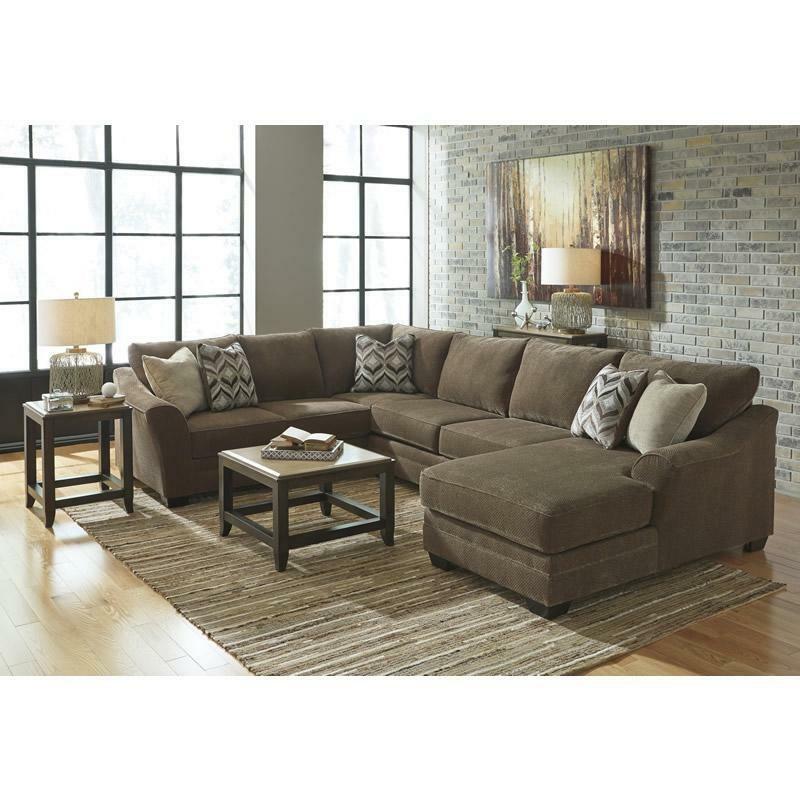 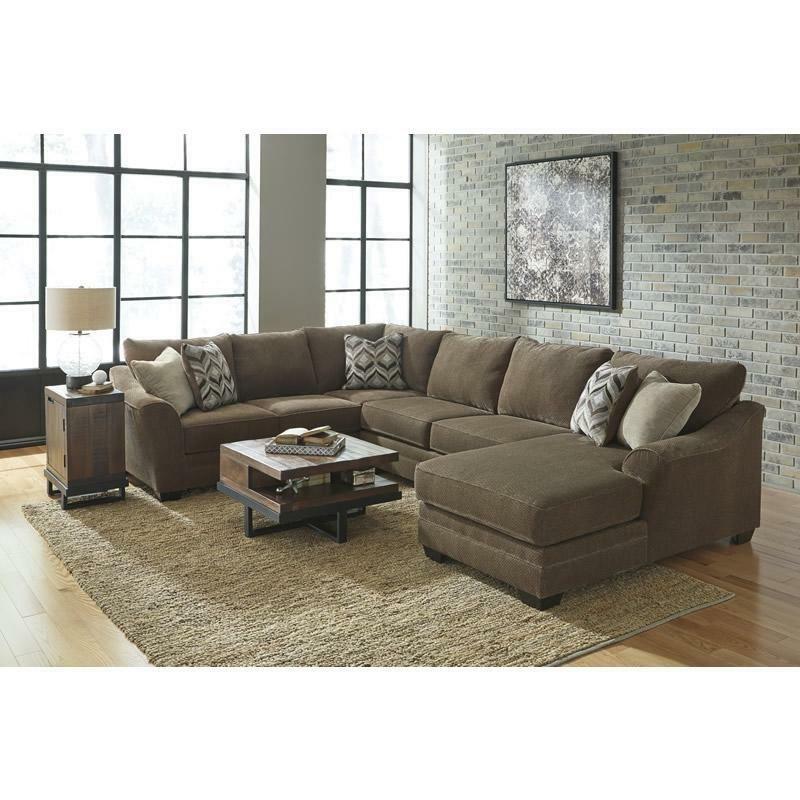 Additional Information Arm height 25.5"; Leg height 3"
Seat Loose seat cushions; Seat height 20"; Seat depth 21"
The Basiley sofa features a casual style with rolled arms, tapered feet and a pewter upholstery. 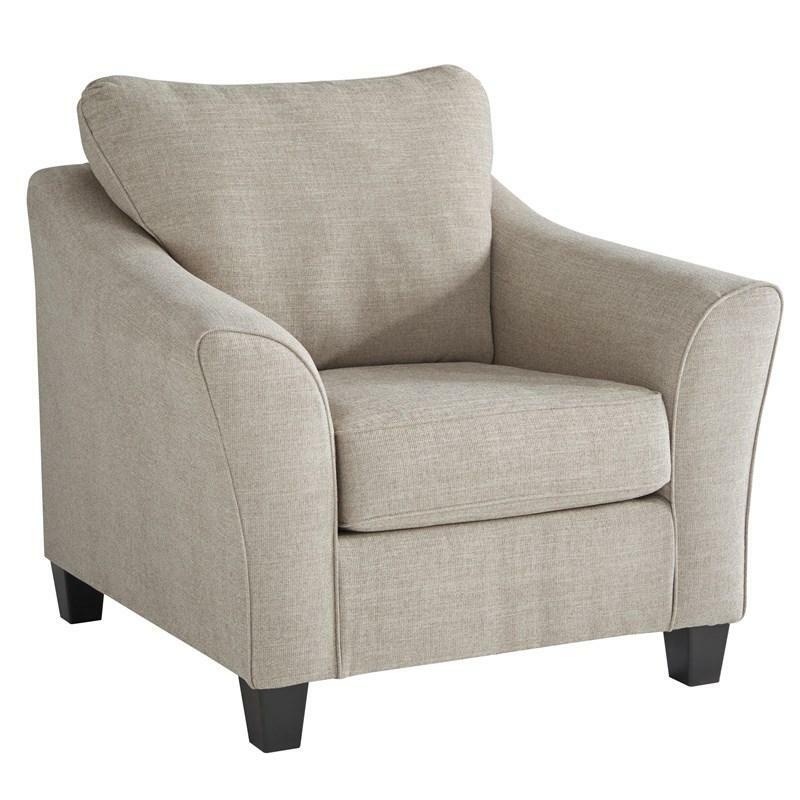 Relax in contemporary style with the Abney chair featuring flared tapered arms and a driftwood upholstery. 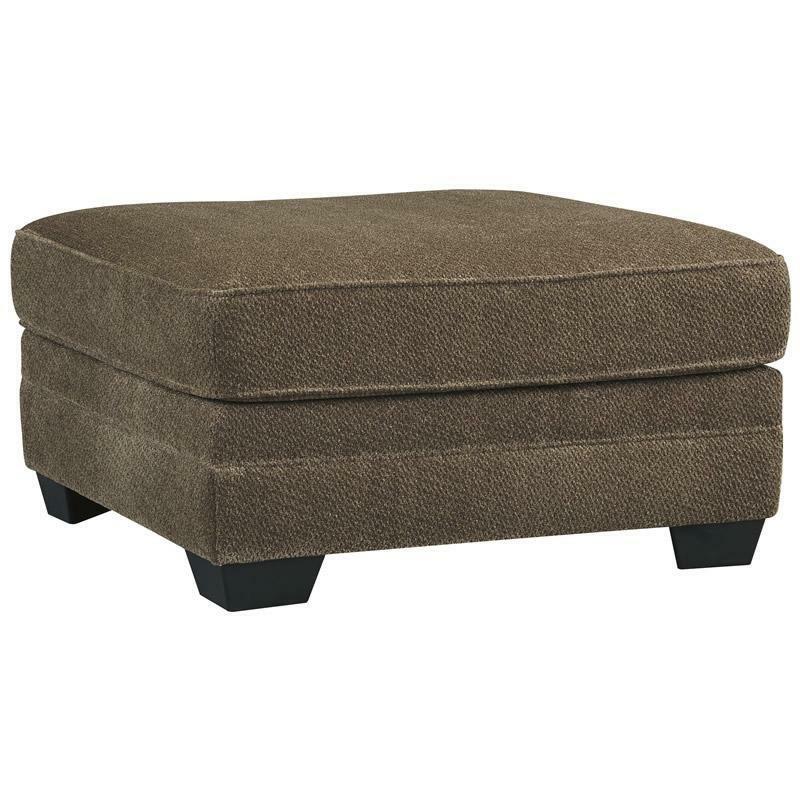 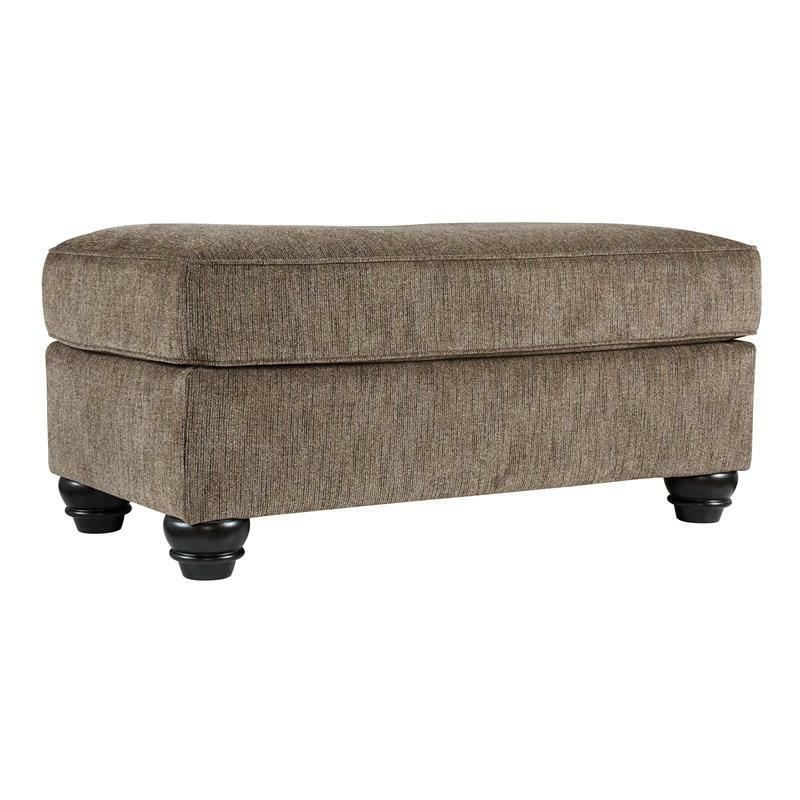 If a relaxed sense of sophistication simply suits your style, the Justyna oversized accent ottoman from Benchcraft might be just what you've been dreaming of. 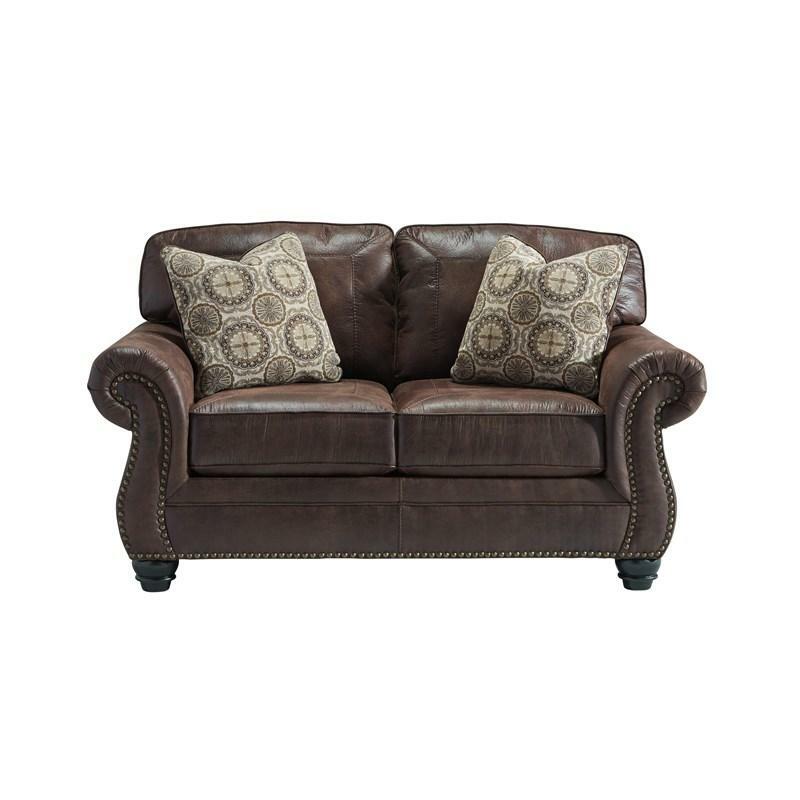 Designer choice upholstery is beauty to behold and a pleasure for the senses. 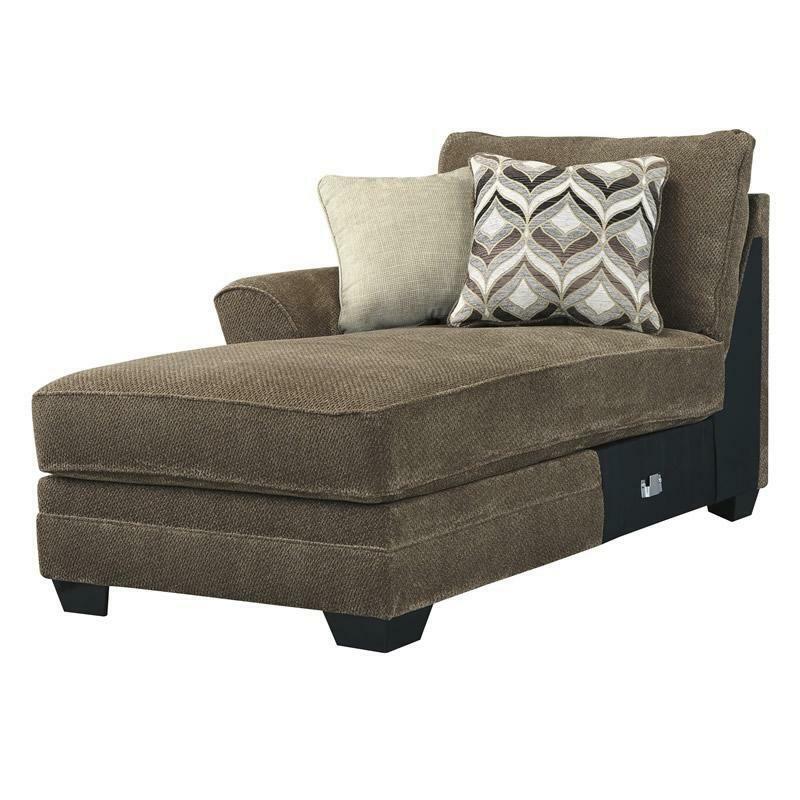 The Benchcraft “Justyna-Teak” LAF chaise features a thick chenille upholstery fabric beautifully embracing the sweeping arms and plush cushions to create a casual contemporary style that is at home in any living room environment. 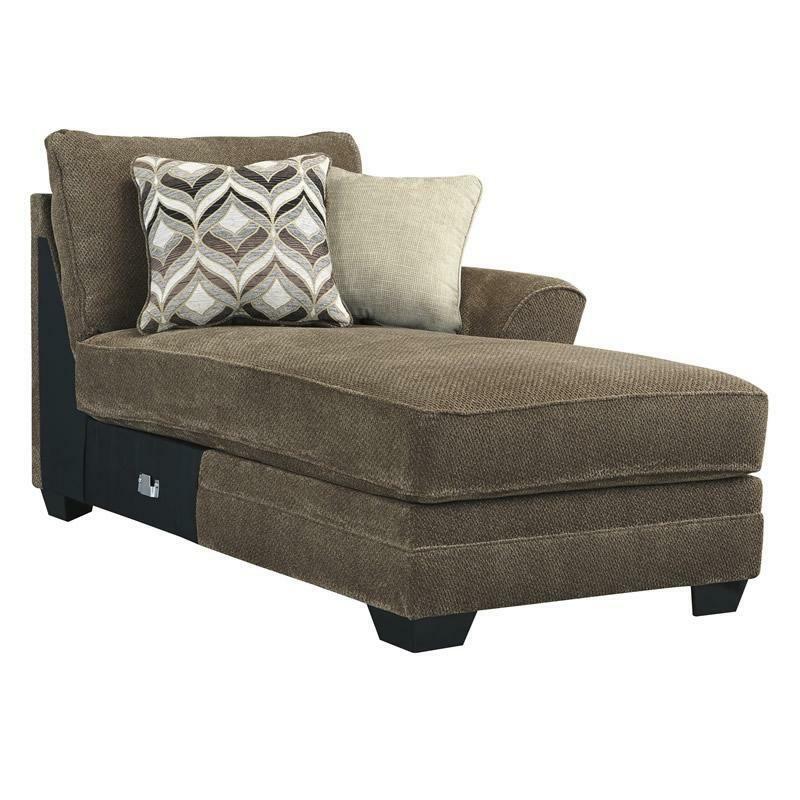 The Benchcraft “Justyna-Teak” RAF corner chaise features a thick chenille upholstery fabric beautifully embracing the sweeping arms and plush cushions to create a casual contemporary style that is at home in any living room environment. 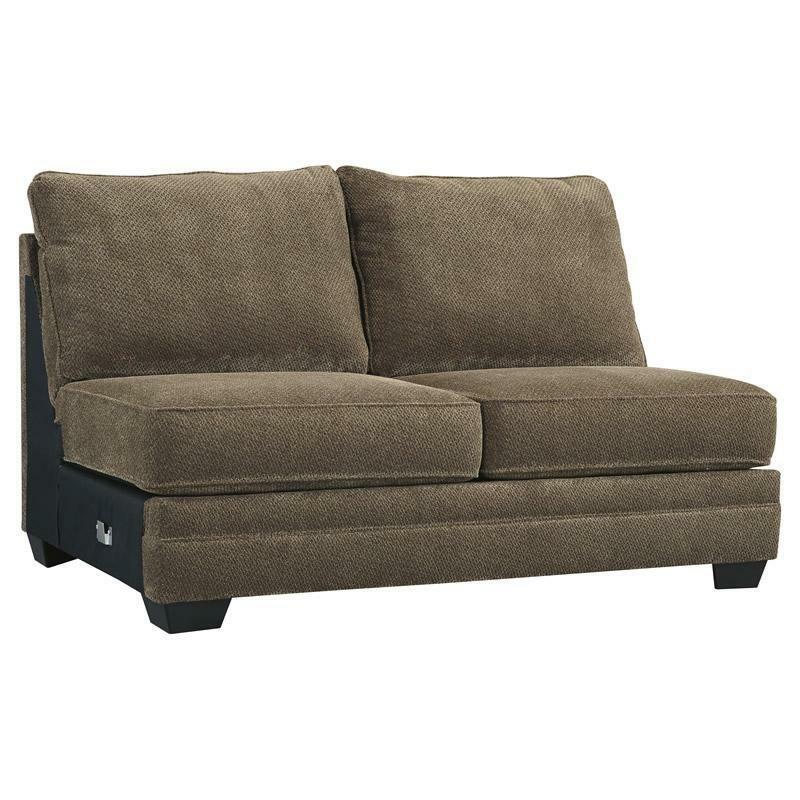 The Benchcraft “Justyna-Teak” armless loveseat features a thick chenille upholstery fabric beautifully embracing the plush cushions to create a casual contemporary style that is at home in any living room environment. 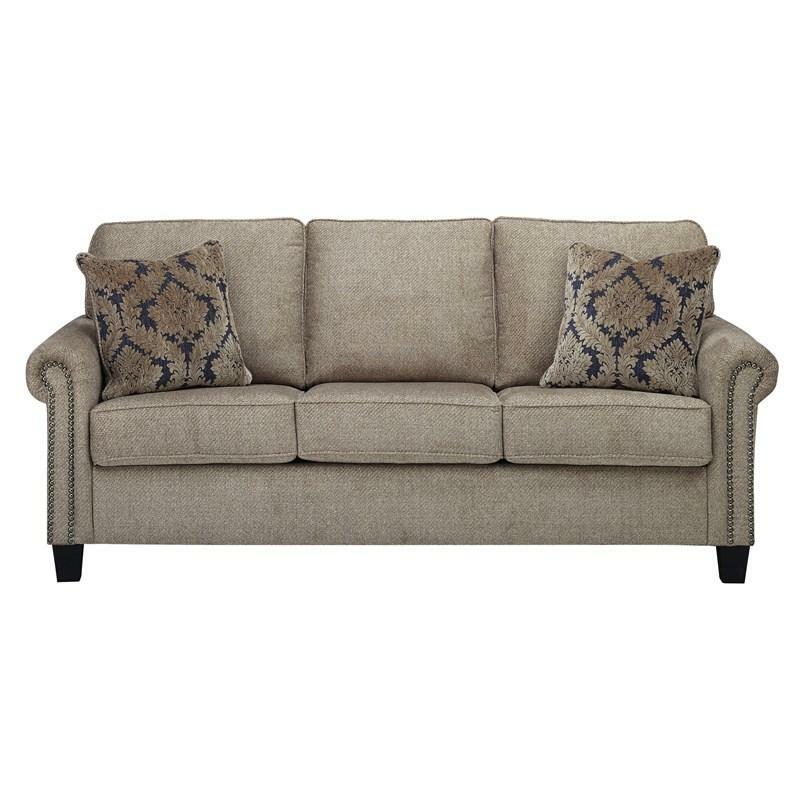 If a relaxed sense of sophistication simply suits your style, the Justyna right-arm facing sofa might be just what you've been dreaming of. 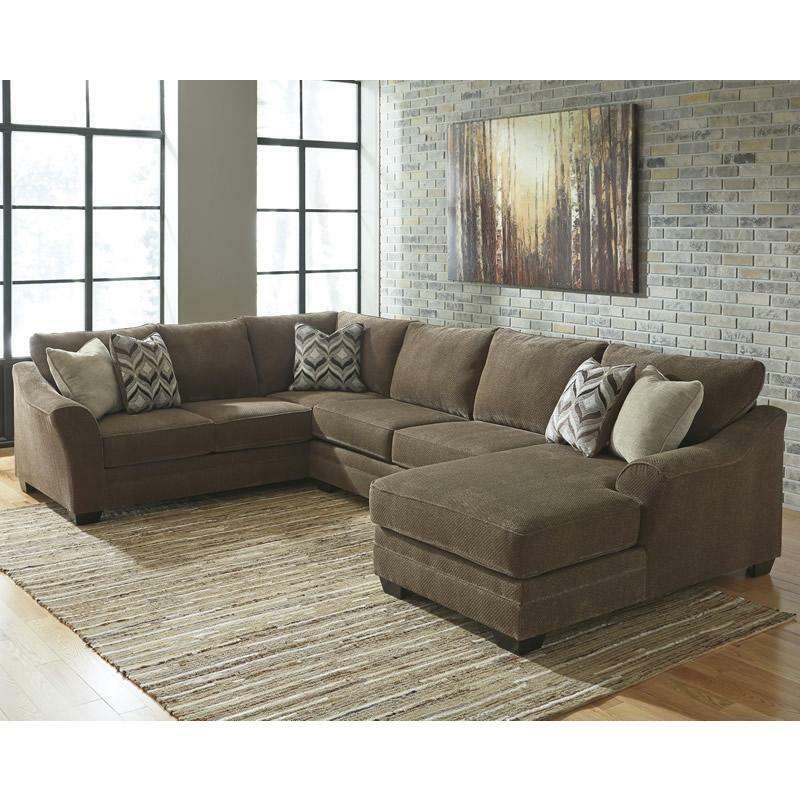 Designer choice upholstery is beauty to behold and a pleasure for the senses.